A bronze vase of square lozenge form, the bulbous body rising from a stepped foot, the neck widely flaring in two stages. The waist is impressed with a broad band of key-fret pattern. The loose, scrolled handles are composed of strips of metal and are attached to either side of the waist. 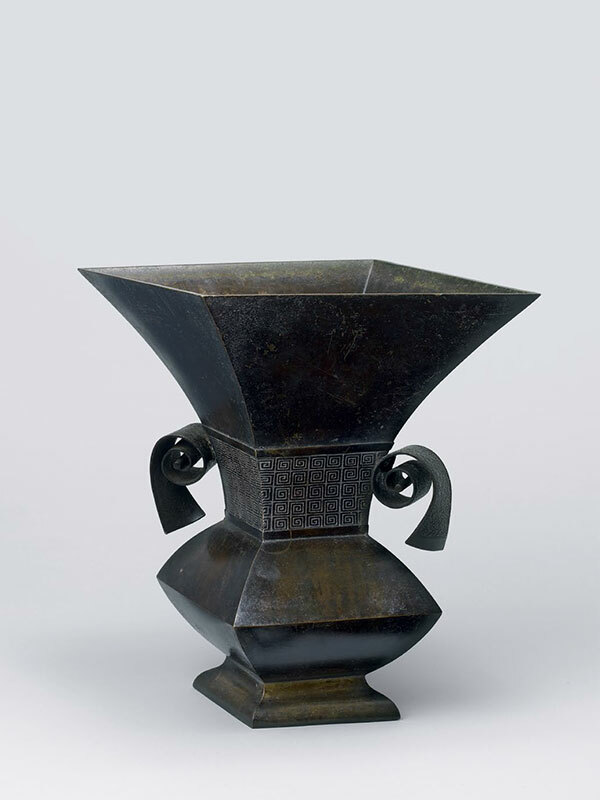 Although this vase looks distinctly modern, it was actually made in the Edo period and shows how Japanese metal workers adapted designs to look very modern.